With the variety of profiles, colors, textures and accessories now available, vinyl siding offers the design flexibility architects, builders and remodelers need to create the stylish exteriors homeowners prefer. Unlike wood, stucco or fiber cement, vinyl siding never needs paint. An occasional cleaning with soap and water is all it takes to keep it looking great – a feature today’s strapped-for-time homeowners really appreciate. Vinyl siding is engineered to last. The quality of vinyl siding is tested and certified to withstand harsh weather conditions. For added peace of mind, Mastic products are backed by a lifetime warranty. Vinyl siding has the lowest total installed cost of any exterior cladding – by far. It goes up faster and doesn’t need painting. No wonder more builders and homeowners prefer it. With no painting or repairs to worry about, vinyl siding doesn’t incur added costs a few years after installation. Which means it delivers maximum return on a homeowner’s investment. Vinyl siding can help you earn points toward green building certification. It generates less waste during installation (any vinyl scrap can be recycled) than other cladding options, requires fewer resources to maintain (soap and water) and lasts a lifetime. Vinyl Siding can contribute to achieving points in leading green building certification programs. Insulated vinyl siding may help achieve more points. Insulated vinyl siding helps increase the exterior wall’s R-value to contribute to a home’s energy efficiency. The ability to return scrap and off-spec materials into vinyl siding’s manufacturing process results in virtually no manufacturing waste. Studies show that average scrap rates from vinyl siding installation are less than 1.9% of total construction waste. Vinyl siding does not require painting, staining, or caulking. This lowers the cost of maintenance and avoids releasing harmful solvents into the environment. Durability is the key to sustainability. The NAHB has cited “Lifetime” as the estimated life expectancy of vinyl siding on a home. Vinyl siding has excellent environmental performance compared with the other exterior cladding based on the use of a life-cycle assessment tool compliant with ISO 14044. Vinyl siding also provides exemplary economic performance when evaluating costs associated with all life-cycle stages, form raw material acquisition to waste management. Combining the amount of energy saved with the manufacturing and transportation, vinyl siding contributes significantly less to global warming than other exterior cladding. Compared to other exterior cladding, vinyl siding releases significantly lower levels of toxic chemicals, including mercury and silver, into the environment. Despite considerable growth in the production of vinyl products over the past 20 years, the level of dioxin released has decreased by nearly 90% over the same period. 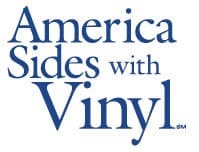 Unlike silica-based fiber cement, vinyl siding does not utilize any materials that can cause adverse health effects to installers – or to anyone.